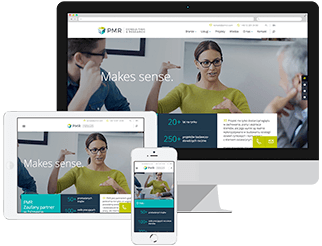 By professionally mapping your business processes and introducing you to the best international practices, PMR consultants can help improve your company’s operational issues so the business runs more efficiently and effectively. How can I improve the business processes so my products and services create additional value for customers? How my direct competitors target and manage the increase of their business efficiency? Is sourcing in Central and Eastern Europe or in CIS countries a good solution for my business if I want to strive for profitability? PMR meets the business operations-related needs of our clients who want to have inputs and outputs of their business clearly defined. After mapping the business processes of your organization we define the core businesses and create the necessary primary value stream so there is a clear structure and comprehensive division between primary and secondary activities. Once evaluating various cycles of business processes (such as purchasing, manufacturing, advertising and marketing, sales and others) we trace the business logic of each of the processes which helps you clearly see what value each of them brings, what total value your company creates as a whole, where the major improvements are expected, what the potential is, and how the opportunities in CEE and CIS countries are to be successfully exploited. After evaluating your KPIs (key performance indicators) and assessing your CSFs (critical success factors) that are reflective of your business effectiveness, we coordinate your decision-making to achieve better results in your business processes and as a result in sales and profit. We consult on a wide range of sourcing activities in Central and Eastern Europe as well as in CIS countries by offering you various organisational development and system resource models. By jointly setting rational goals we help you find optimal distribution.